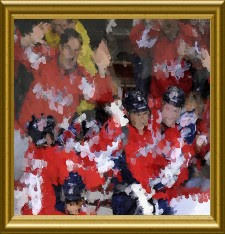 The Washington Capitals are currently in last place in the NHL and the players and fans don't seem to know what to do. Jay Beagle had an interesting take on the Caps' problems and how to solve them. No, he didn't say to practice harder, or for a Captain to show up to optional events. He instead suggested a more bizarre plan. Well a select group of Caps fans took that Beagle quote a little too literally. 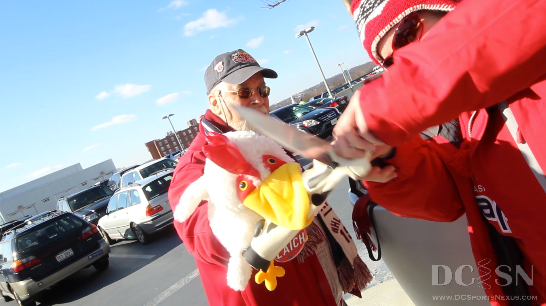 On Saturday afternoon following a Capitals optional morning skate, fans gathered outside the front entrance of Kettler Iceplex to partake in a wild ritual. 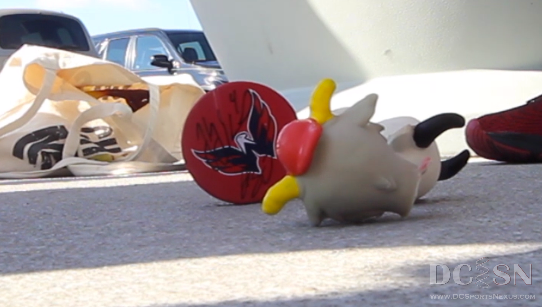 Led by Caps superfan Jenn Rubenstein (@JennRubenstein), with help from professional DC Sports animal sacrificer Hugh Kaufman (AKA Chicken Mode), both a rubber cow and rubber goat were sacrificed to the hockey gods. Now lets see if it worked or there's something else wrong. Hugh definitely stopped the evil forces against the Nats! Best Caps game, by far, this year. 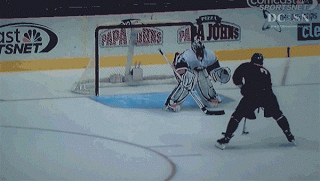 And first shutout this year.